In Titanfall 2, there is a campaign and a strong multiplayer mode. In both, there are basically three things: To your pilots, to your titans and how to harmonize with each other. In the following guide, we will take a closer look at the pilots in multiplayer, the skills they have, and how they affect your playing style. - The primary weapon: You have the choice between assault guns, machine guns, light machine guns, sniper rifles, shotguns, and grenadier guns. - The secondary weapon: Here you can find guns and thick titanium-defenses. Both armor patches can be modified, for example with new visors or additional ammunition. - Explosives / Weapons: There are splitter grenades, electro grenades, fire starters, gravitation starters and backpacks. - Kit 1: You can choose from the following abilities: Power Cell (shorter cooldown of Tactics ability), Fast regeneration, Explosive expert (shorter cooldown of the Explosive weapons). 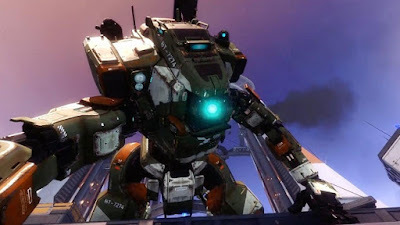 - Kit 2: The following abilities are selected: Kill Report (The positions of fallen enemies are marked with skulls on the HUD), Hanging (Hanging on walls by aiming during a wall run), Hovering (When you are in the air and aim, you float), Submerged (no traces of the jump nozzles and silent climbing on the Titan). - Execution: When you are sneaking into an opponent, you can eliminate it as follows: "Grand Theft semi-auto", 2-3- 2 combo, knee plus (Flying knee to face). - Pilot camouflage and armor camouflage: You can change the appearance of your Pilots and Weapons (Skins). - In addition, you can change the gender. Important NOTE: Most of these abilities you have to first try. Earned enough credits to be able to afford them. However, the most important customization option is the tactics that you can select from the menu at the top left. We are now looking at them more closely, since these have an extreme influence on the game style. - Camouflage Device: You become almost invisible. Against Titans the camouflage is more effective. An important word is "almost". So you cannot completely disappear, to walk through the enemy ranks and to secretly eliminate them. It just becomes more difficult to recognize you. - Pulse Blade: You get a throwing knife with a sonar pulse, with which your opponent can find through all surfaces. This will give you an important advantage - as you know where the opponents are nearby. The throwing knife is not only good for the pulse, it can also kill. - Hook: Climbing hook with which you can quickly escape. However, it is also good for bringing fast to the action. Make it like Spiderman! - Stim: Fast healing and short-term speed increase. These bonuses are designed to escape from a dangerous situation or to have a short-term advantage over your enemies and overwhelm them. - A-Wall: Particle shield in pilot size, which enhances outgoing shots. Can only be destroyed on a protected base plate. - Phase Shifting: Teleport for a short time in an alternative room. You come, so to speak, in a different dimension, in which you can see no other players or titans, but you can only move freely. Interesting: If another player uses this ability at the same time, you can see each other in this alternative room. - Holo-Pilot: Creates a holographic copy of you, which after imitating imitates all your actions. The copy cannot do any harm, but it serves as a distraction. Use the holographic copy in meaningful places to confuse the opponents. Note: All these settings are by no means all you can customize in multiplayer. There are also various titanium loadouts and boosts.